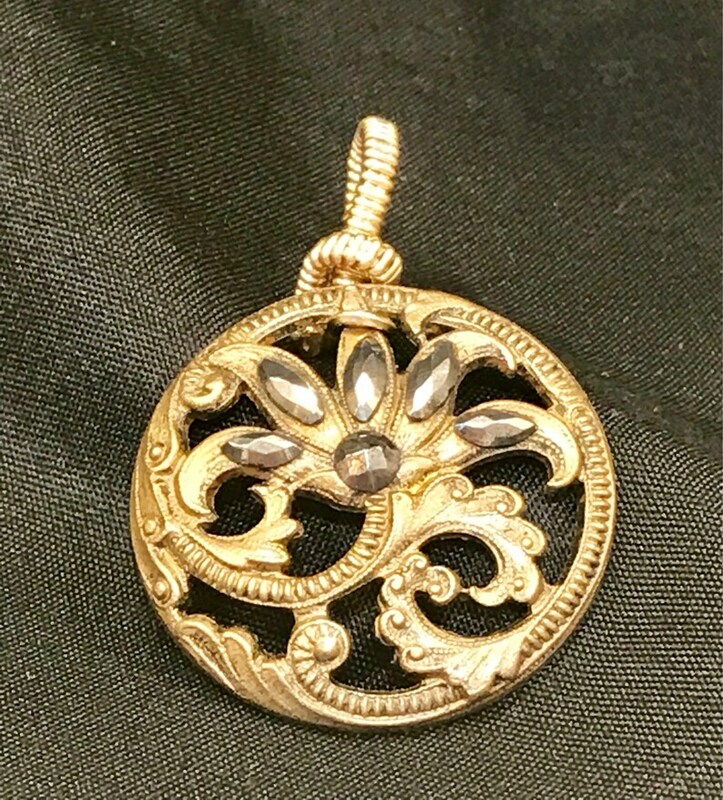 Beautiful Pre-1930’s open work metal cut steel vintage button pendant is handcrafted with 14k gold filled wire. This beautiful button pendant would complement any of my genuine gemstone 14k gold filled wire wrapped beaded chain necklaces found in other listings. The pendant measures 1-3/4 inches tall and 1-1/8 inches wide.